A walking tour of Charleston is especially pleasant when done in a small group of just 15 people or fewer. 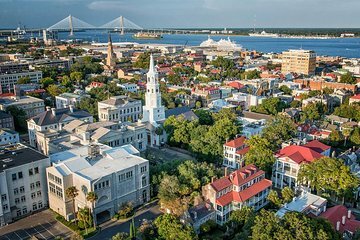 Avoid overcrowded sidewalks and photo ops as you follow your guide through the historic French Quarter, past the mansions of Broad Street, and down to the Charleston Battery. As you walk, your guide regales you with tales of Charleston's fascinating history, which is all too easy to miss if you forgo a guide. Very good, would recommend it. Personal guide and information about the city. Easy walking. Guide well informed.